How do you make your cuppa? 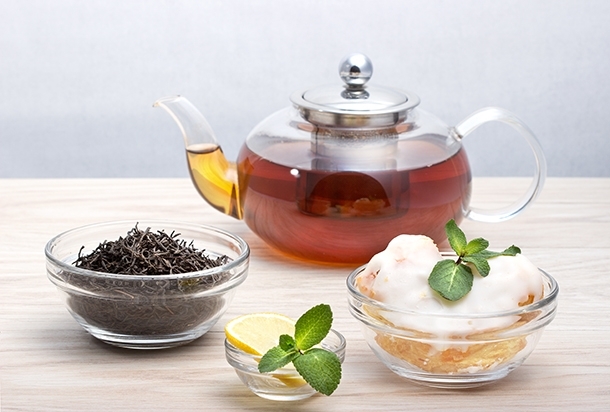 Do you use loose leaf tea or you prefer the teabag way? If you brew your favorite tea using loose tea leaves, congrats! That’s the best way to bring out that rich, deep flavor in your tea. And you can make it even more enjoyable by using the best teapot with infuser for the brewing process. In this post, I intend to list the 10 most popular glass teapots with infuser that will doubtlessly make preparing loose leaf tea a simpler task for you. WAIT…before I give you my list, let’s familiarize ourselves with this loose leaf tea making equipment. What's a Glass Teapot With Infuser? A glass teapot refers to a pot constructed using glass material- with a glass spout, handle, and lid. The sole purpose of this kitchenware is to brew tea and serve it afterward. The glass used in the construction of this teapot is reinforced so that it can withstand billing water without shattering into pieces. They let you watch the brewing process in “real-time”…where the color of your tea gradually seeps out of the centrally placed infuser, spread into the pot and throughout the hot water to make you full flavored tea. Trust me, watching this tea brewing process heightens your craving for the drink. They’re so many on the market, and if you’re not careful, you might end up picking a poor quality model. This can’t withstand boiling water for long, leave alone making tea of your desired strength. The first glass teapot I'll suggest you look into is the Willow & Everett Tea Pot. It’s a well-crafted model, made of high-quality materials (hand blown glass and stainless steel infuser). This means that the pot can withstand hot water and the infuser will not rust anytime soon. Being a microwavable unit, you can easily put it into your microwave…but; first, you need tor remove the strainer to allow your water to heat in your microwave to your desired temperature. Then you can replace the infuser and proceed with the brewing process. It comes with a capacity of 32 ounces, which means it can hold about 3-4 cups of tea. You don’t have to worry about taking your last cup of tea as the pot comes with tea cozy to keep your tea warm. The fact that it’s black and snugly zips around your pot explains why it’s able to keep the contents warm for long. It has a spill-free lid which gives you some peace of mind knowing that your favorite tea won’t get easily spilled. Warning: Don’t get tempted to heat this pot over your stove; it simply won’t work! It’s either you hear it in a microwave or boil the water separately using an electric tea kettle or another pot. The Cozyna Glass Teapot with Infuser boasts of an all-round borosilicate glass construction, with premium grade stainless steel infuser. This is to mean that you don’t have to worry about plastics or any materials that could add harmful chemicals into your tea and affect the overall flavor. The fact that you can easily remove the infuser in this unit makes it even more amazing! It enables you to easily take your tea leaves out when you feel your tea has acquired your desired strength. And in so doing, you can reuse the tea leaves to brew several pots of tea (say 3-4 times). Isn’t this a good way to save some bucks? The Cozyna comes with a 2-year warranty, which enables you to return your teapot if you feel that it does not work as advertised. And oh! It comes with a bonus recipe eBook, where you can find some great tea recipes to prepare with this unit! Hiware never disappoints when it comes to making the highest-quality products for use around your kitchen. Their Good Glass Teapot with Stainless Steel Infuser & Lid portrays their efforts well…it’s uniquely handcrafted unit using heatproof borosilicate glass that can work with hot water at all temperatures. And unlike most of the glass teapots out there, you can wash in the top rack of your dishwasher! For the best experience when making your blooming or loose leaf tea, the pot provides you with a micromesh stainless steel filter that ensures not even the tiniest particles escape into your cuppa. It’s also worth noting this teapot comes with two versions…the one specially designed for brewing loose leaf tea and the other one for blooming teas. The flowering tea differs from the other in that it lacks an infuser. Instead, it features a strainer integrated into the lid, allowing you to watch as your flowering tea dances around your pot. While the loose-leaf version can hold up to 27 ounces, the flowering version holds up to 40 ounces. The manufacturer says that this unit is stovetop safe. However, I want to advise you to avoid dishwashing this teapot as much as possible (as it can get knocked down, hit or damaged in the process). A simpler way to clean it is gently rinsing it with some soapy water right after use. This keeps it as shiny/clean as new. When you compare the quality of this particular glass teapot with its price tag, you’ll think it’s a big joke, a prank maybe! Its quality and features are way above the pricing in all ways and means. It’s constructed from premium hand-blown borosilicate glass that’s durable, heatproof, and lightweight! Like our previous Hiware teapot, you can also safely wash this unit in your dishwasher. If you want a teapot that will make your visitors roll their eyes when you place it on your living room table, this bobuCuisine is your ideal pick. It’s accented with a durable plastic frame that efficiently insulates and protects the glass from potential damages. The infuser is made from 100% rustproof stainless steel, making it easy to maintain. To keep your tea warm for longer, the box includes a black cozy warmer with heavy-duty zipper that attracts the heat escaping from your drink and sends it right back! The fact that it can hold 40 ounces of tea (equivalent to 4-5 cuppas) makes it the real deal when you want to make tea for you and your few visitors or family. Get your back money backs within 90 days of purchase if this unit doesn’t bring the best out of your favorite tea, NO questions asked! Once again, Hiware proves their undying efforts to help you brew your favorite tea the best way. This time, they offer you the Glass Teapot with Removable Infuser which has cooler features than our previous model. Like its brother, it’s made using the ultra-clear, heat resistant borosilicate glass. One thing that sets it from its brother is that it’s microwavable. To use it in your microwave, just remove the stainless steel infuser and put into the microwave…allow your water to boil and then put the infuser right back and go on to make your cup(s) of tea. It’s that simple. Besides, the manufacturer says it’s also stovetop safe. It features a unique spout design which enhances effortless pouring as well as precise control), such that you can get the last drop of your tea into the mug without getting messy. Unknowingly, you might have encountered this amazing teapot in hotels, restaurants, teahouses, etc., where it enjoys wide usage. But that does not meet you can’t use it at your home to make your daily cup of tea easily and quickly. For many, many years Tea Beyond has been on the frontline in the production of top-rated “teaware” and the tea itself. It boasts of a team of professionals who have unconditional love for tea themselves. Their hard work is seen in this highly functional and stylish glass teapot that enjoys an extensive usage across many households, restaurants, teahouses in the states. Like many of the products that populate this list, this particular unit is handcrafted using heat resistant, lead-free glass which is safe for your health and environment. It features a creative design that blends mots kitchens, and given its large size, it’s sure to make you wonderful tea for a group of small people (to be precise, it carries around 45 ounces of tea when full). Still on creative design, it features a non-drip spout which means easy, stress-free pouring of tea into your cup. It features a pink handle that adds to its overall elegance, making it a jewel in your living room or kitchen. It’s designed for blooming loose leaf as well as blooming tea…the crystal clear glass lets you watch each of the tea blooms unfold- an exciting experience! So far so good! At position 7, I’ll introduce you to the Redbird Glass Teapot whose top-quality design and excellent tea brewing performance wins it a place on this list. To start with, it’s constructed of the extremely sturdy borosilicate glass which is ultra-clear and transparent to give you a clear view of the brewing process. Then there’s premium grade stainless steel infuser that makes it a complete teapot for meeting all your blooming or loose leaf tea brewing needs. If you don’t usually brew a lot of tea at home, you’ll find this unit an ideal option as it has a smaller capacity of 24 ounces…meaning it makes only 2-3 cups to take you through the day. This small size also makes it a great pick for office, picnics, students, college dorm, travel, outdoors- everywhere! The teapot too does not disappoint when it comes it comes to convenience. It features a dripless spout which ensures not a single drip of your tea drops during the service. Whether you place the lid with the infuser inside the pot or removed, it fits perfectly well. Like most of the other top-quality teapots, this model is dishwasher safe, microwave safe, and gives you an exceptional tea brewing performance anytime you crave for a cuppa! You know you’re making tea without any contaminations when you’re using the Siyanuo Glass Teapot with Removable Infuser and Lid. It features a quality construction of food grade borosilicate glass as well as a food grade stainless steel infuser. Meaning your tea infusion process is free of harmful chemicals, plastic leaching, or aftertaste. To heat water for making your tea, you can directly place this pot on your electric burner, microwave oven, burning stove, gas stove, induction cooker, electric ceramic cooker- so many options to pick from! Designed with an easy to use design, the pot comes with a full set of combinations that are easily detachable to help you make your tea effortlessly. The infuser, in particular, has a thoughtful design, where it features numerous micropores for effective steeping control. When your tea is ready for serving, it’ll easily drip into your mug till the last drop, thanks to the clean focused pour and dripless spout design. If you’re undergoing hard financial times but still want to buy a teapot with infuser, say hello to the YF-TOW 301-400ml Personal Glass and Ceramics Made Tea Infuser & Mug. The beautifully designed “teaware” comes with a couple of cool features plus it grows your tea juts the way the high-end models do. It has a relatively smaller capacity of 13 oz., so it’s only ideal when you want to make your own up or two. Like all the other products we’ve featured on this list, it boasts of high-quality material design…namely the lead-free, heat resistant, and durable borosilicate glass. It slightly differs from the other models in that its infuser is made from high-quality ceramics, which not only adds to its elegance but does the job incredibly well. The pot is ideal for making both loose leaf and blooming teas. As a bonus, the manufacturer gives you a mug that you can use to take your read tea anywhere, anytime! Closing the list is another reasonably priced glass teapot- the Beylor Clear Glass Teapot with Infuser. This attractive unit also boasts of food-grade borosilicate glass construction. Apart from being light and sturdy, the glass is ultra-clear such that you can watch your tea as it interacts with the hot water to make you a cuppa! The filter is also made of glass and has exceptional steeping capabilities to ensure you only end with tea in your cup. The fact that it’s removable (and so is the lid) enables you to clean it easily. At a capacity of 1000ml, this teapot will make enough tea that you can share with others. The pot is microwave and stovetop safe thanks to the borosilicate material construction which can withstand high temperatures without shattering. On top of all this, it features a non-drip spout design which conveniently pours tea into your guests’ cups without leaving the table messy! What To Look For Before Getting a Teapot With Infuser? As you read through the above products, you might have wondered how you can easily pick such products with amazing features and designs in a market filled with teapots that vary from head to toe. Still wondering up to now? What material is used to construct that teapot you want to buy? Different manufacturers employ a wide variety of material to come up with this tea brewing equipment. The most popular materials include stainless steel, glass, cast iron, porcelain, ceramic, and silver-plated. Which material do you prefer your ideal teapot to come with? This refers to how much a teapot can hold. As you know, the more water your pot can hold, the more cuppas it will make you. So, depending on your daily tea making needs, pay attention to the capacity the teapot comes with. You don’t want an infuser that allows tea particles to escape into your tea and make it almost impossible to drink. Thus, be sure to look for an infuser that has fine mesh through which tea particles can’t easily penetrate. Additionally, ensure the material used to design the infuser is easy to clean…stainless steel infusers win in this case. And don’t forget to look for a removable infuser design. The joy of having the best teapot with infuser at your home or office is that it allows you to make all types of tea effortlessly and conveniently. Its shows even more promising result when you chose to brew your loose leaf tea with it as it easily brings out the full rich flavor of your favorite tea. The glass models are the most preferred by many households for they’re easy to clean and maintain, have incredibly stunning designs, and give you a clear, “real-time” view of the tea brewing process. That being said, the list you’ve just read above contains ONLY the 10 best glass teapots with infusers that will give you a whole new way of making loose leaf tea. The faster you get your order for this teapot on, the faster you’ll get to take your drink in its full flavor!